Now is a good time to enrol on the Festivals Course of the Druid Forest School: to get ready for the start of the Ancient Irish Festivals Year. As a build-up to the first Festival of the Year, Samhain, celebrated around November 1st, we prepare together in the Druid Forest School as a respectful, enlightened democratic community. Now is a good time to study and share on the preparatory themes around the Festivals of the ancient Irish. This way we are each fully prepared to celebrate the first festival of the ritual year, Samhain, the time when the veils between the realms are thin. We share our preparation and our celebration of the Festival with our members worldwide. 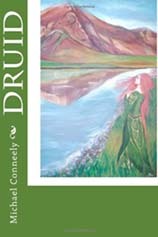 This entry was posted in Druid Course and tagged Druid distance learning course, Druid Festivals Course, Druid Forest School, druid forest school of corra and llugh, Druid Invocation Course, Irish Gods and Goddesses, Michael Conneely, Samhain festival. Bookmark the permalink.